Barneys Farm are continually pushing the limits of marijuana genetics, improving their selection and breeding processes to create something that is truly breath-taking. 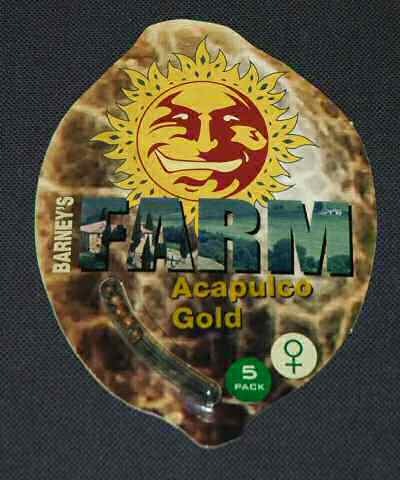 Acapulco Gold is the next generation of marijuana. Like the original namesake the Acapulco Gold flowers with fat colas, flecked with beautiful reddish brown calyx, each covered with beautiful crystals of THC. The smoke has an intense fruit cocktail flavour that lingers for hours. This is a Sativa dominant, Central American, strain that offers a long lasting high, balancing relaxing stress reduction with a real upbeat effect. Acapulco Gold far surpasses the rhapsodized smoke of days past.